In today’s digital age, the key to business success is having an online presence that makes it easy for customers to find out about your brand or services. This is especially important given that 80% of consumers use search engines to help them find specific products and services. And out of that consumer group, 90% of them don’t look past the first page of search results. If you own a plumbing business, appearing on that first page of search results is essential for succeeding as a business. But how do you make that happen? Well, with plumbing SEO, of course! By SEO optimizing your plumbing website, you can score a higher spot in the search results, which will make it easier for customers to stumble upon your site during their Internet searches. If you don’t engage in SEO, they’ll never find your site, and be forced to settle for lesser competitors who are easier to find. Want to make the best of your plumbing SEO but not sure how? Here are 7 SEO tips to help your business grow. Once you do these things, Google will send you a postcard with a pin code to verify the physical address of your business. Want to rank high in plumbing SEO? Well, a great way to do that is to ask customers for reviews of your business and service. This will help you achieve greater visibility in local listings in search engine results. You can use social media and email to directly ask customers to leave reviews on the Google business page you’ve created. If you’re struggling to source reviews, try calling customers, or encouraging them to leave reviews by offering discounts for doing so. Just remember that certain customers may need guidance on how to leave a quality review, so provide some guidance on what you’re looking for in a review. SEO is about more than just driving customers to your website, it’s about optimizing your website experience. You can do this by making sure all elements needed for SEO optimization are featured on your website. These elements include headings, proper URL structure, title tags, and imagery. You should make your website easy to navigate and use for customers, as site structure and information hierarchy play an important role in Google rankings. For service pages, try to include the city or town you operate in with title tags. Also, try to add this to any alt tags of images you include on these pages. If you’re techy savvy with code, you may want to add schema markup to your address information, which will further verify your business’s location. If you’re familiar with SEO, you know how important keywords are in ranking high in search results. The keywords that will help your business most are the ones that relate to the services your business offers. By researching keywords that customers use and cross-referencing with the services you offer, you can more effectively target customers and rank higher. If you want to be in the forefront of customers’ minds when they’re browsing, you need to know the kinds of terms they’re looking up. By doing keyword research, you can target those terms so your website offers what they need in that moment. Keyword research will also help Google surface your website higher up in the results pages if your content matches whatever browsers are looking up. Another important element of plumbing SEO is location address citations and links. The citations are postings on other websites that highlight your business and important information about it like the address and phone number. When doing this, just make sure the information posted on these other sites is consistent with the information on your own website. Content creation and marketing is another important aspect of SEO and can be incredibly impactful for plumbing SEO. If possible, you should create a content section of your website with informative and relevant content for site visitors. 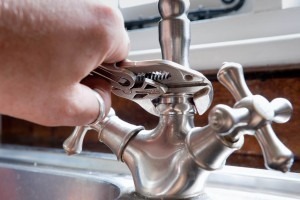 This will help you rank higher in search results, and establish your business as a reputable expert in the field of plumbing. Not sure what to write about? Here are some topic areas that are generally beneficial to plumbing SEO. Whatever content you post, it should be both relevant and helpful for customers. This content can increase your business’s credibility, improve your site rankings, and empower customers to feel more confident in using your services. If you’re busy or unsure what to do when it comes to SEO, there’s no shame in hiring an expert to help you out! Try looking for SEO experts with experience in web marketing agencies, or ask friends or business colleagues for references. Either way, just make sure they’re familiar with local SEO strategies and ask if they have any specific experience working with plumbing SEO strategies. Devising and implementing SEO strategies for a plumbing business isn’t easy, but it’s necessary for business success. By following the 7 tips in this article, you can better optimize your website, making it easier for customers to find your brand and fall in love with it. Are you struggling with SEO issues for your plumbing business? Connect with an expert to find out how you can build your business with better SEO strategies!